Mobile Machines provide the perfect solution for manufacturing on-site long run roofing, in sheet lengths that are too long to be manufactured and then transported to site. 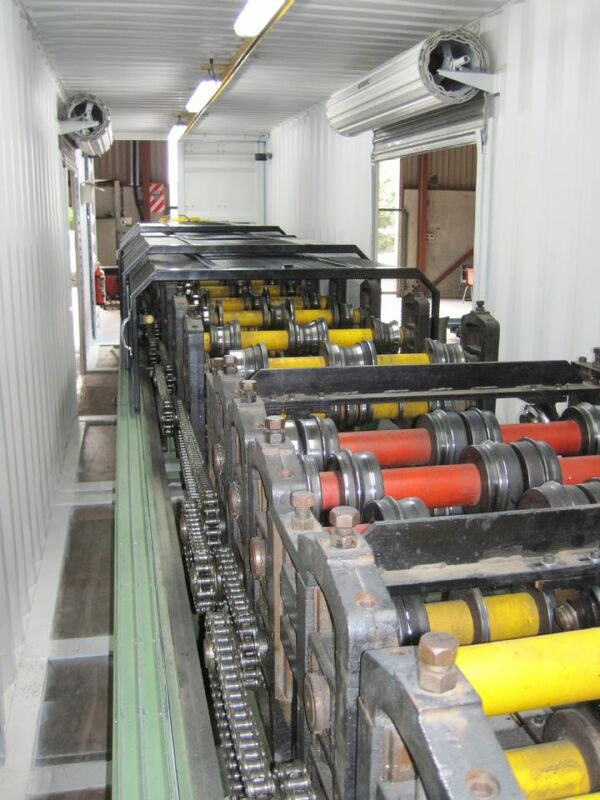 Tandarra are specialists in Mobile Roofing & Cladding machines, having built numerous examples in the past 20 years. The standard format is for machines that are permanently fixed inside modified shipping containers. These can be transported to site and then left there for the duration of the job. They are normally secured via twin container doors at each end, with custom positioned roller doors along each side for increased access. All have internal lighting for all day production, and include all the standard safety features of a standard forming line. Other options for Mobile machines include those permanently fixed into the back of a semi-trailer for ease of transportation from site to site, or rafted machines with stackable cassettes that allowed multiple profiles to be rolled on-site. 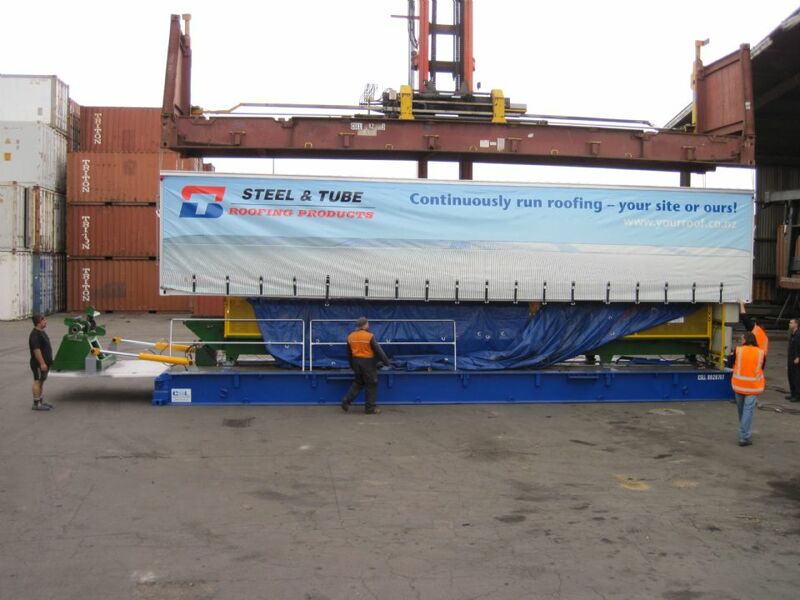 We have also retro-fitted existing plant onto flatdeck shipping structures for transport from location to location. Currently we are working on a new mobile rollforming design for the production of long-run roofing atop purpose built scaffold structures - more on this once the project has been completed. The beauty with Mobile Roll-formers, is that when not out on site, the machine can be plugged in back at the factory and used like a standard machine. Below are some photos of some of the Mobile Machines that we have manufactured and retro-fitted. Final Touch converts a static machine to a mobile one.